What is Athlete's Foot and what causes it? Athlete’s foot, or tinea pedis, is a fungal infection of the foot and toes. Many people will be familiar with the symptoms of athlete’s foot; dry, flaky skin that occurs between the toes, often occurring with a red, itchy rash. Athlete’s foot is a very common condition that will affect most people to some degree during their lives. It is normally easily treated using over-the-counter medicines and will clear up in around 7 – 10 days. Athlete’s foot is caused by fungi know as dermatophytes that live as part of the normal bacteria and fungi on your skin. Dermophytes feed on dead skin and thrive in warm, damp and humid environments – an environment perfectly provided by your feet. The conditions provided by sweaty feet and shoes allow the fungi to multiply resulting in athlete’s foot. Athlete’s foot is very contagious and is particularly common in people who exercise regularly as the fungi thrives in communal areas such as showers, swimming pools and changing rooms. It therefore tends to be more common in teenagers and males but can affect anyone at any age. What are the symptoms of Athlete's Foot? Many people will be unaware of the early symptoms of athlete’s foot unless they regularly inspect their feet. It is usually noticed when it begins to itch or the rash becomes uncomfortable. A red, itchy rash around the flaking skin. Athlete’s foot normally starts between the little toe and the toe next to it, moving along your toes as the infection spreads. All of the above symptoms of a more severe infection (other than fungal nail infection, which can be self-treated) should be checked with your GP. How is Athlete's Foot diagnosed? A formal diagnosis from a healthcare professional isn’t usually necessary in mild/moderate cases of athlete’s foot in people who are otherwise healthy. Unless symptoms of a more severe infection are present (see’ Symptoms’ above), self-treatment with over-the counter medicines will clear up the majority of cases. If your infection does not clear up after 10 – 14 days of using antifungal medication from a pharmacy, you should see your GP. People suffering with diabetes should always see their GP for any foot complaints, including athlete’s foot, due to the increased risk of complications. What treatments are available for Athlete's Foot? Most cases of athlete’s foot will clear up with simple antifungal medication and self-care methods detailed below in ‘Prevention’. It is important that both regimes are adhered to strictly to allow the infection to clear up and prevent re-infection. The self-care methods will also help to prevent the spread of your infection to others. Creams and gels are the standard topical treatments for athlete’s foot. They are normally applied twice a day for up to 14 days (check the individual treatments for specific details). Athlete's foot cream should be applied to any areas of flaky or red skin and the surrounding areas of healthy skin when they are clean and dry. Powders have the dual action of being antifungal as well as helping to absorb moisture from the feet. They can be used in combination with creams or gels to give thorough coverage and increase the likelihood of successful treatment. They can be used to dust the feet, shoes and socks to kill any fungus and prevent re-infection. Sprays can be used instead of creams/gels as a more convenient and pleasant method of application for people who struggle to apply cream to their toes, or do not want to touch the areas of infection. 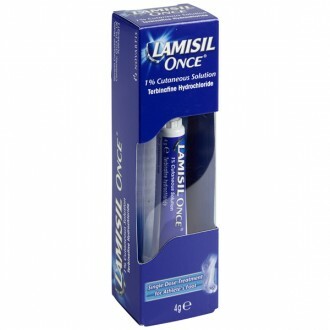 Lamisil Once is a one-off antifungal application that creates a film over the infected area and treats the infection over a 7-day period. It has the advantage of not requiring further applications. You should always ensure that the treatments are applied to clean, dry feet and your hands are thoroughly washed after touching the infected area to reduce the spread of infection. With most of the athlete’s foot treatments, excluding Lamisil Once, you will need to continue applying the treatments for around 7 days after the infection disappears to have cleared up to prevent re-infection. 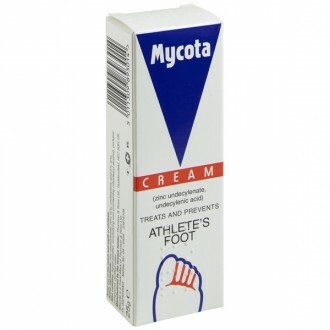 You can also use a combination cream containing an antifungal and hydrocortisone (Canesten HC, Daktacort) to treat athlete’s foot that is particularly red, sore or inflamed. The added hydrocortisone will help to reduce the inflammation associated with the infection as well as the action of the included antifungal. It should be used for a maximum of 7 days and it should never be used on areas of broken skin. How can I prevent Athlete's Foot? It is important to practice preventative measures against athlete’s foot if you are in a group that is more likely to suffer with it, such as teenagers, adult males or those who frequently exercise. However, it is equally important for those suffering with athlete’s foot to adopt these preventative measures whilst suffering with the infection to speed up recovery and prevent spread. Wash your feet thoroughly at least once a day ensuring you clean between your toes. If you suffer with sweaty feet, dust them with talcum powder or antifungal athlete’s foot powder. Wear breathable shoes that fit correctly – avoid tight-fitting synthetic shoes. Ensure your feet are properly dried before putting on shoes and socks. Switch shoes as often as possible to ensure you are always wearing a dry pair. Take off shoes when possible to allow air to dry your feet – try not to go barefoot to prevent spreading the infection. Do not share towels, shoes or socks to prevent spreading. Wear flip-flops in communal areas such as showers and changing rooms to prevent spread. Wash towels and bed clothes often in a hot wash.
Can Athlete’s Foot spread to other parts of the body? Yes, the fungus (tinea) that causes the infection is also responsible for other infections such as fungal nail infections, jock (dhobie) itch and ringworm. You should always treat athlete’s foot as soon as possible and use the preventative measures detailed above to stop the spread to other parts of the body. Should I throw away my shoes to get rid of Athlete’s Foot? It is not necessary to get rid of any shoes you have worn with athlete’s foot or to stop wearing them completely. Usually washing them and treating them with antifungal powder is enough to rid them of any fungus. If they are too tight or not breathable you should consider wearing them less and ensuring you feet are dry and in clean socks/tights when you do wear them. Yes, athlete’s foot is very contagious. It is very important to follow the preventative measures detailed above to prevent spread and re-infection. Can I catch Athlete’s Foot from my pets? The tinea fungus can be carried by animals therefore they are a potential source of infection. You should look out of areas where they are missing fur as a symptom that they are carrying a fungal infection. It is important that both your pet and yourself are treated to stop the re-infection cycle. If my child has Athlete’s Foot do I need to keep them off school? No, it is not necessary for your child to miss school if they have athlete’s foot. You should however inform the school that they have athlete’s foot to allow them to put measures in place to prevent the spread including ensuring your child does not go barefoot. Can I stop using the antifungal treatment once my Athlete’s Foot appears to have cleared up? You should always continue your topical antifungal treatment for at least a week after your athlete’s foot appears to have cleared up to ensure that all of the fungus has been killed and prevent re-infection. Are natural remedies such as calendula, cinnamon or tea tree oil effective in treating Athlete’s Foot? There is no evidence to suggest that any of the natural treatments for athlete’s foot are effective. The longer you go without proper treatment means it is more likely that the infection will be harder to treat, have extra complications (such as bacterial infection) or spread to other areas of the body. 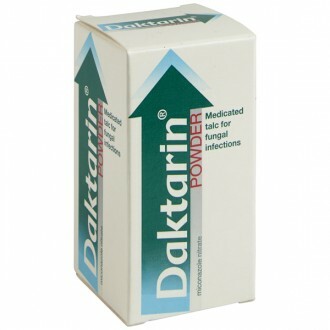 We would always advise proper treatment with antifungal medicines.